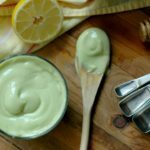 Just 5 minutes and this creamy paleo mayo is ready to go for your favorite salads, slaws, wraps, and more! …you make lemonade, of course! I don’t consider myself a natural optimist. I have always been quite the black and white realist when it comes to pretty much everything. 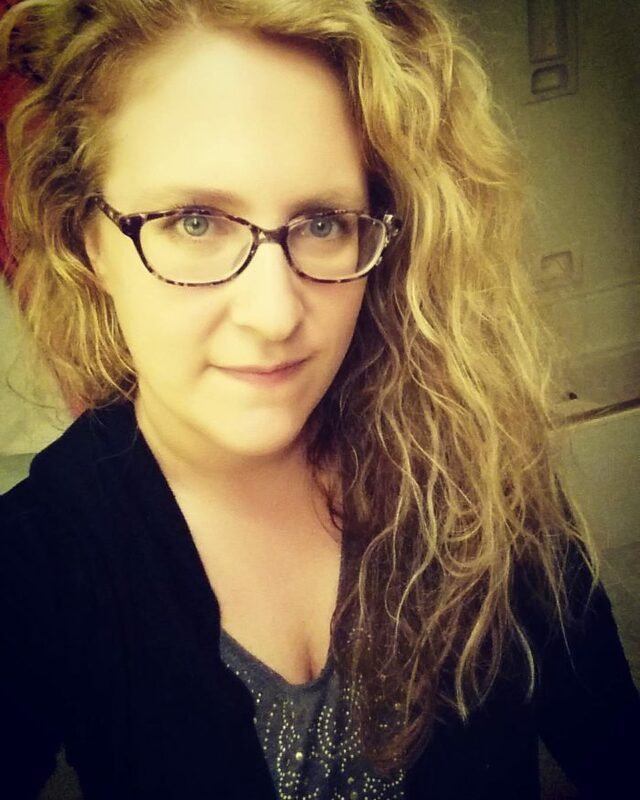 But, if there is anything that I have learned in almost 15 years of autoimmune thyroid disease, it is that getting down about healing roadblocks and restrictions only makes life gloomy. And when you have a house full of kids, that just plain doesn’t work well. 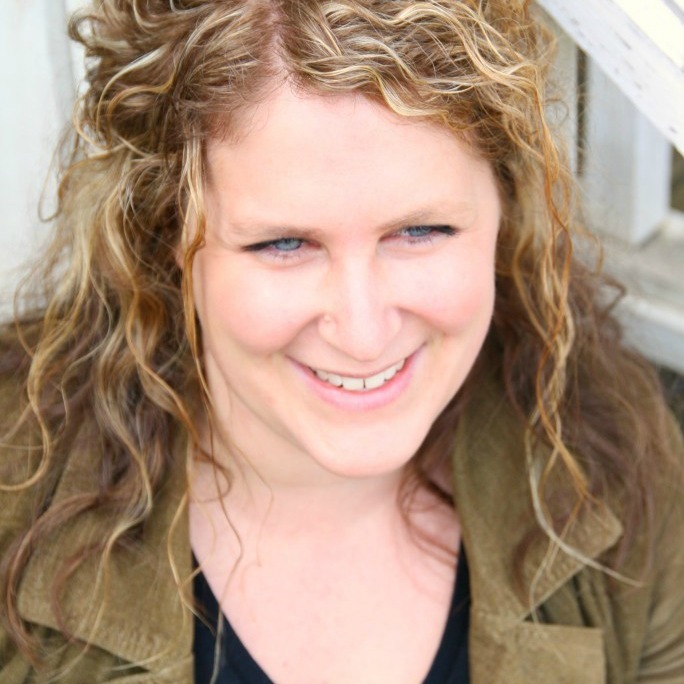 Healing roadblocks and autoimmune diet restrictions have been some of my best moments – because this stubborn go-getter fights back making gallons of lemonade out of those lemons. Sometimes it takes those flare ups to get fired up. I had a few days of feeling sorry for myself, and then I got busy. Why? Because I know this isn’t a life sentence. And I know that some of my best work comes during these times. Pastured eggs are so healthy – I mean they are full of really good fats, vitamins, and minerals. But, my friends, just because a food is inherently “healthy” doesn’t mean that it works for every “body.” After a Hashi’s flare up that we are thinking is in part due to an EBV infection coming out of dormancy, I decided to pull eggs out of my diet to help calm the flames of inflammation. Eggs are just one of those foods that can be inflammatory for those with any autoimmune conditions. Within a month of keeping the eggs out of my diet I had lost 10 pounds. In essence, 10 pounds of inflammation. Even though I was not experiencing digestive distress when I ate them, eggs just weren’t working for me! No eggs (or dairy)?! No problem! I’ve been there and done that – in fact I’ve already been off dairy for the last few years because I know it just doesn’t jive with thyroid conditions. I also couldn’t eat eggs with any of my newborns least they be super fussy, and one of my girls couldn’t eat eggs during her babyhood/toddlerhood. Might there be a genetic component here? Could be. I have had numerous food allergy and sensitivity tests done in the last decade, and I never have come out as allergic or sensitive to eggs. It very well just may be that my body doesn’t do well with them – especially when my thyroid is acting up. We’ll talk about baking without eggs another day. To be honest, I’m not doing a ton of baking. I’m keeping things as simple, rustic, and gentle as possible right now while I calm my system. Back to the basics…it’s cheaper, easier to plan, tastes amazing, and you know what? It works. If you are needing to calm inflammation, keeping it simple is key. With a good, staple mayo, you can make just about anything! Why mayo? Because with a good mayo, you can make Ranch dressing, flavored aioli, and just about any slaw, salad, or creamy dressing you need! I have been craving coleslaw and salads! Probably that spring fever bug that is bitten me! I have been using my Italian dressing, French dressing, and Asian dressing (subbing almond butter for peanuts right now), but I have been wanting my Olive Garden dressing and tuna salad which both need a scoop of mayonnaise to make it taste really amazing! Eggless mayo isn’t a new concept to me – I created this mayo years ago when my toddler couldn’t eat eggs. It is so amazing, and if you can tolerate dairy it is so good – you’ll love it! The real deal…legit…whatever you wanna call it – I want it to taste GOOD! Over the last month I have been working on this egg and dairy free mayo making sure it tastes *just* like the real thing – ie one that does NOT taste like avocado or coconut! Ha! And I want that smooth, creamy consistency – not too thick and not too thin. Thank you for being so patient with me as I perfect these recipes – I know my Instagram followers have been asking for these egg free recipes as I post them! I want them to be the real deal before I post, and I am confident your family will love this! The taste *and* texture is just like what I grew up on – you know…that blue lidded container! Only this is made without the rancid soy oils and preservatives! Olive oil will swap for the avocado oil if that is what you have. Avoid vegetable/canola oils. I purchase avocado oil from Costco. Almond or cashew milks should swap for the coconut milk if that is what you have. If you are following an anti-inflammatory (AIP) type diet, coconut milk would be the best option over a nut milk. I promise this doesn’t turn out tasting like coconut! (I love this coconut milk that doesn’t have gums or preservatives, and keep it on hand in the pantry. You can also make your own coconut milk.) If you tolerate dairy, raw milk/cream works too. You can leave the raw honey out if you are sugar free. Organic pure cane sugar or coconut sugar would work too. The hint of sweet makes it really taste like Miracle Whip if that is what you are used to. Without the sweet it tastes more like a Hellmann’s type mayo and is really yummy too! I purchase raw honey from a local farmer. 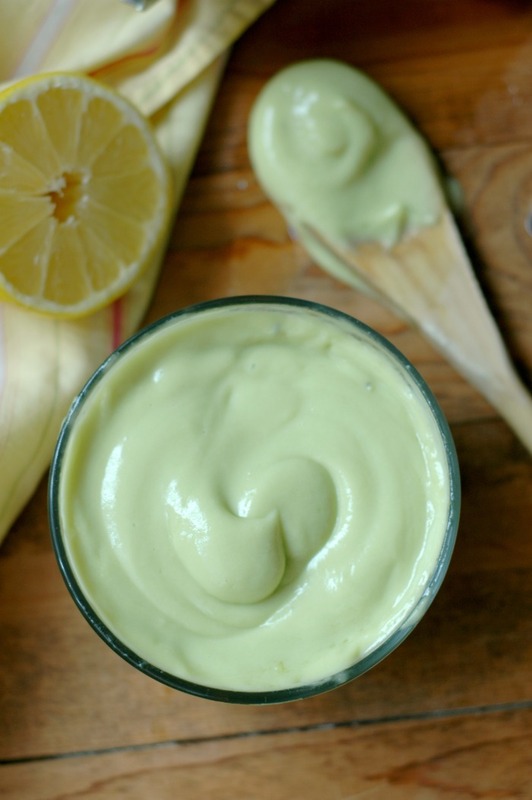 Make sure you taste the mayo once it is blended for sea salt/pepper to your taste, as well as “tang” – you can add more mustard or lemon juice if you want more tangy bite. 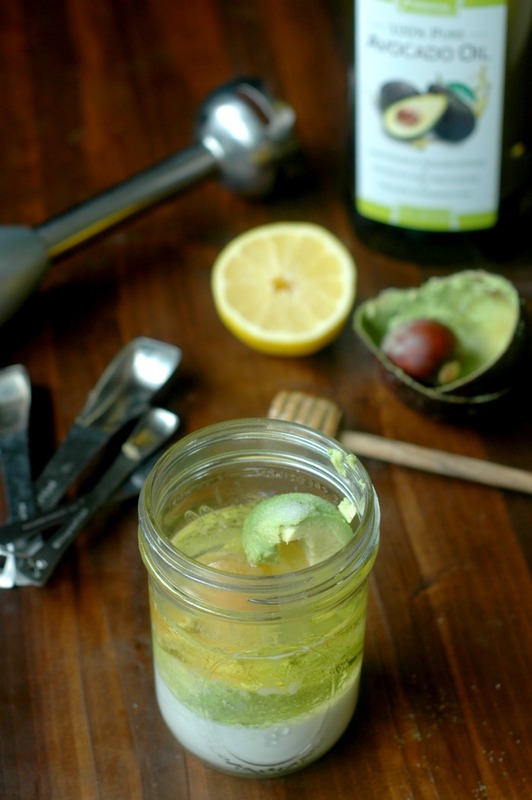 I literally eyeball everything into a mason jar – mason jars have measurements on the side so I just fill the avocado oil and coconut milk to the levels on the jar and toss in the rest – it takes less than 5 minutes! 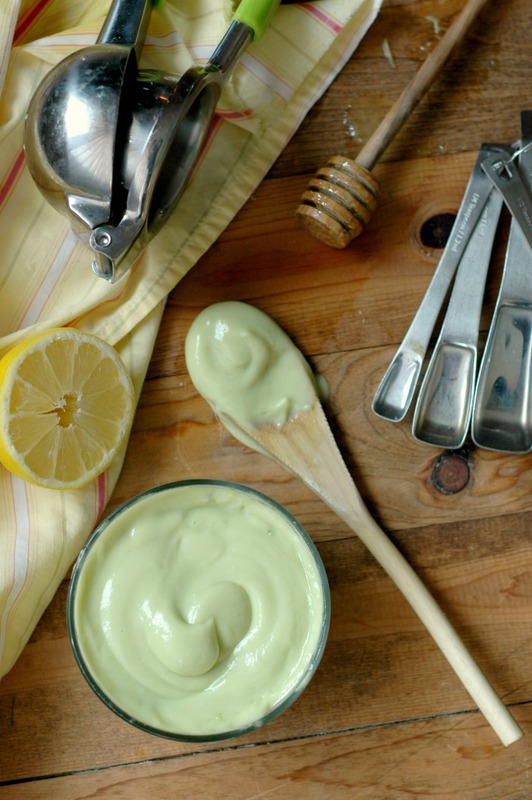 Homemade Mayonnaise :: Free from common allergens! Taste for sea salt/pepper to your taste, as well as “tang” – you can add more mustard or lemon juice if you want more tangy bite. Store your mayo in the fridge up to a week. Tuna Salad For All Ages To Enjoy! Looks good! I’ve made mayo with avocado oil before…my only complaint is that it doesn’t stay good very long like it does with olive oil. But it sure is good! Hi Mary! This mayo has been staying good for me just over a week in the fridge! Hi Amanda! Yes, I do think it would work without the mustard for full AIP! The avocado gives it the thickness, creaminess so the texture will be the same! Ahhhh… avocado! That’s genius. When I was on AIP I tried making an egg-free mayo with coconut milk and oil and while it emulsified it was still pretty liquidy. But an avocado – so smart!! I will definitely share this one!! oh this sounds so yum! Perfect for an allergen free salad! Love this AIP recipe. It’s hard to make something not taste like coconut when it’s part of the ingredient list. But I love that it adds that creamy consistency along with the avocado. 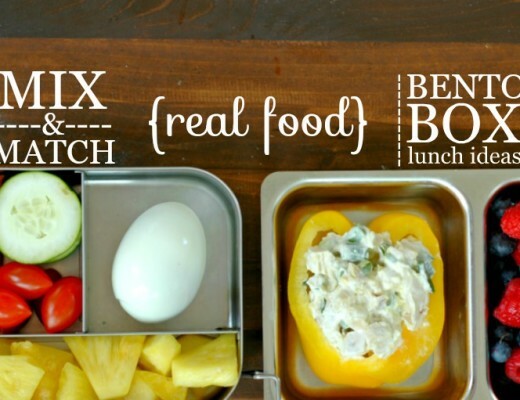 What a perfect way to look at difficult things, and you’re definitely right about doing your best work because this is amazing and a really creative (super tasty) way to solve the no eggs mayo problem! This is absolutely fantastic ! Egg and diary free homemade mayo !! YUM ! I should be making mayo at home! I have been buying such pricey condiments. Omg THANK YOU for making an egg-free mayo!! I need to try this ASAP! I love that you point out that just because a food is healthy doesn’t mean it’s for everybody! We are dealing with that right now with my husband. This mayo looks amazing, creamy, and so perfect! It totally looks like the real deal and I’m sure tastes amazing! I’ve never made mayo without eggs before. And I love avocado. So I guess I really need to make this. Thanks! Yes an egg free mayonnaise! I totally need this in my life. Thank you!!!! I was wondering why this looked green when I saw the thumbnail photo! Love that you used avo here. I love the idea of this without eggs. I think my body would do better with it this way, I tend to have a hard time with other homemade mayos that have eggs in them. 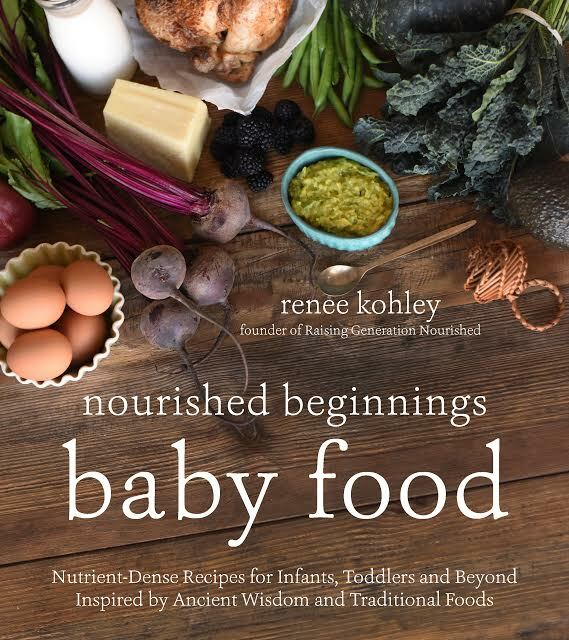 This is such a great idea Renee! Such a great substitute! I bet the mustard tastes amazing in there too. I can (luckily!) now do eggs, but there were a couple of months when I was doing strict AIP and couldn’t – this recipe would’ve been great to have back then! Awesome job! What an incredible recipe substitute, my daughter couldn’t tolerate eggs for many years we would have loved this recipe then. Still would love to try it now as it’s the perfect way to eat more healthy avocados. Great recipe! So quick, easy, fast and delicious! 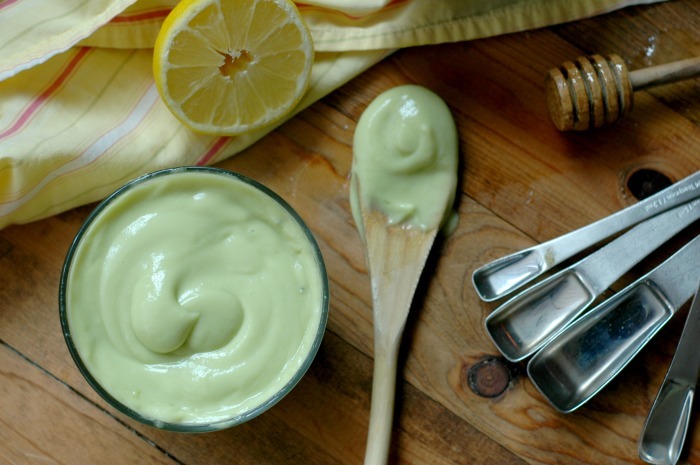 This is such a great real food mayo recipe. People always forget that healthy condiments are important too! I love this recipe and it will definitely come in handy with all the summer classics. Beyond that, I’m so glad you are feeling better and the weight loss is an added benefit. 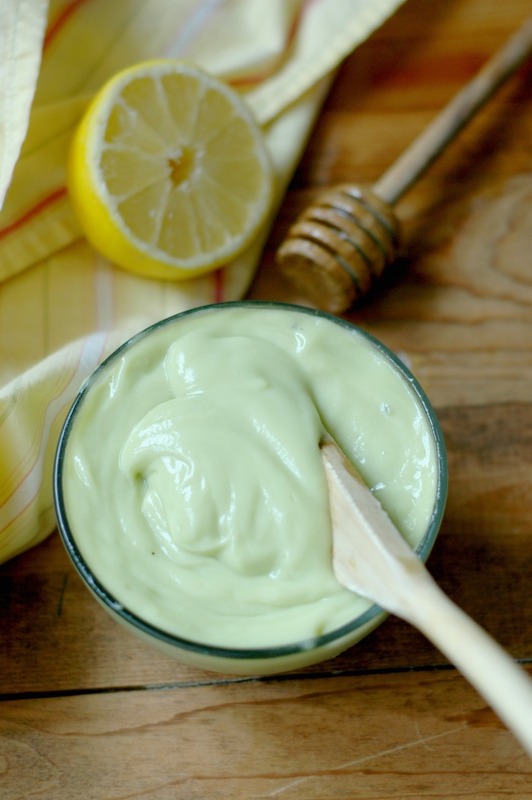 Egg free mayo – absolute genius! 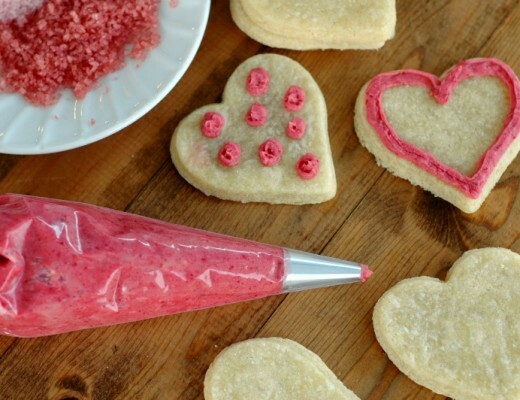 I love that this recipe is accessible to absolutely anyone. Plus avocados taste A-MAZING! Awesome. I had to omit the sugar because AIP (although I did the mustard… #YOLO) and this is so tangy and delicious! It’s not as mild as most of the mayos I’ve had but I bet it would have been more similar if I’d been able to add the sugar. Still, it’s an awesome substitute and I’m excited to use it to make chicken salad. THANK YOU for doing this! You’re welcome Chelsea! I’m so glad you were able to find something that works for you! That’s a game changer! Hi, I’m looking forward to trying is recipe but I was wondering if the addition of avocado gives it a strong avo flavor? Thanks! My daughter cannot have coconut. Is there another milk you would recommend for a substitution? Hi Jennifer! Whatever milk you use in house should work fine – raw milk/dairy, almond milk, cashew milk. I typically don’t recommend soy milk. Could you just omit honey if wanting to serve to child under 1 year??? Or is there a substitute you would recommend? Hi Chelsey! Yes, I would just leave it out! What kind of mustard, powdered or prepared? I can’t have dairy or eggs. So when I saw this I got excited… the I saw avocado 🙁 I can’t est that either!!!! As I’m allergic to avocado I used soaked cashews. Mmm…yummy! Thank you so much for this! I suffer from autoimmune problems and have recently noticed that eggs cause me digestive issues ( and they are my favorite food 😖) so cut them out and felt so much better… I forgot that they are in mayo and ate some and was so perplexed as to why my digestion was playing up 🙈 I love mayo so am so grateful for this- most of the egg free ones for sale in supermarkets are full of stuff like rapeseed oil and soy which I also try to avoid. I get that Nicola! I’m so glad this will help you! Could you make this without avocado? I have a nut and tree allergy and I can’t eat most fruits and large pitted vegetables, like avocados. Surprisingly olive oil is fine! Hi Maria! The avocado makes the mayo creamy and thick. Can you do egg yolks? That is how mayo is traditionally made thick and creamy so you could do that if you don’t have egg allergies. Wow, I have done 5 Whole 30’s over the past 5 years, and have always been freaked out about making my own mayonnaise. I am egg allergic, so this was the perfect recipe to try. All I can say is Yummmmm!!! Please try this. So easy with the mason jar and immersion blender. I mixed with a Whole 30 BBQ sauce and it was so good. Thank you for your post! I’ve ordered the coconut milk. Just wondering what to substitute for the prepared mustard as we are avoiding vinegar derived from corn. Hi Melissa! I would just leave the mustard out! I think it will be fine since the avocado helps to thicken and emulsify the mayo. Usually mustard helps with emulsifying, but you don’t really need it here.